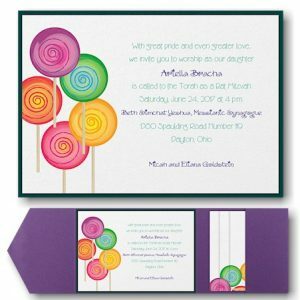 This beautiful Bat Mitzvah invitation is raised printed on Avon White Linen card stock layered over Pastel Circles and Lagoon Frost stocks. 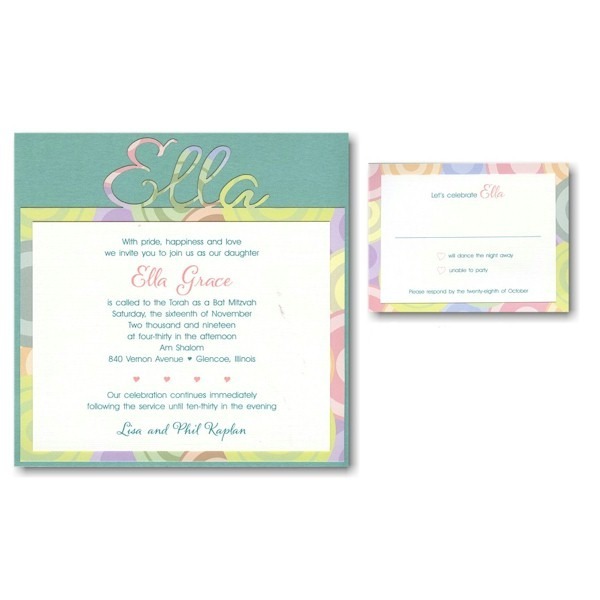 The Pastel Circles stock features the Bat Mitzvah’s name laser die cut at the top for an impressive presentation. Additional postage is required. 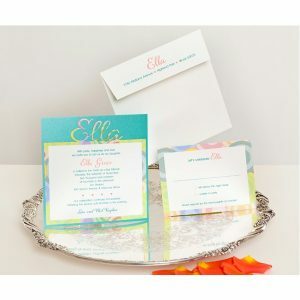 Please consult your local Post Office for details prior to mailing. Envelopes can be lined for an additional charge of $60 per 25.